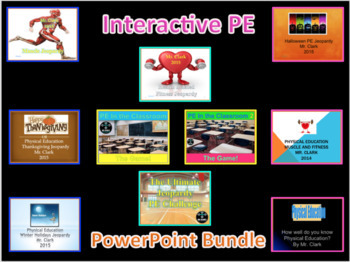 Get Interactive with this PE PowerPoint Bundle! Take them through these fun, interactive, and movement-styled games as they challenge themselves as they put their muscles, heart, and mind to the Ultimate test! 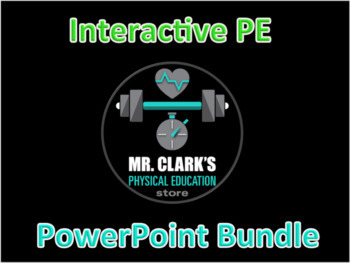 Use it as a great way to introduce new concepts, review/refresh everything PE, or even use as during holiday/special events throughout the school year. These products bring your classes to life, make your students engaged and involved, and most importantly make learning fun! 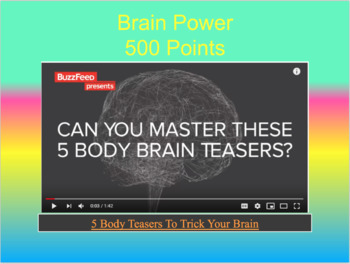 Your students will be begging to do these interactive lessons every week.